Privacy and Tranquility in the country!! SPACIOUS 4 bedroom modular home with ALL of the upgrades and amenities! 4 bathrooms! 3 on the main floor and one in the basement! Basement is almost completely finished! Above Ground Pool. 2 car attached garage. 40 x 88 POLE BARN! 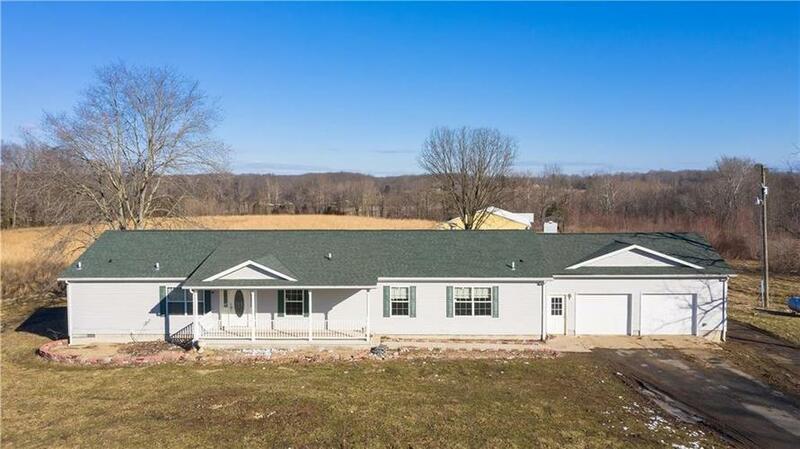 3 acres of land! No neighbors! Sellers are offering a $5,000 flooring allowance to be paid to the buyers at closing. Sellers are also willing to allow an allowance for new interior doors and/or knob. Directions:Recommend using GPS. State road 258 to State Road 58W, then right onto State Road 135, left onto CR 890 N, left on 940 N, home on right.